Jenn is the first stop in the hop; so if you came here to hop from jill at www.thescrapoholic.blogspot.comyou’re in the right place. If you were coming to my blog just to visit, grab your favorite drink and hop along with us! There are 35 great bloggers in this weekend’s hop. Unfortunately, our Internet isn’t working so I’m doing this from my phone – and can’t put in all the normal stuff. My apologies! So Jenn likes turtles (I do too!) so I went in search of turtle stuff. They have some great copic stuff on their site. So I used my copics and a paper stack from JoAnn, and twine from the twinery and some flowers and a pearl half that I had in my room. And of course I have blog candy!!! If you’re new to my blog, be sure to become a follower. Crafty Card Gallery is an iPhone app (works on iPad and iPod Touch) that is now available for Android Phones. It is a card gallery for handmade cards. You can follow great designers, and look for ideas. It’s updated monthly so there’s always new great content for you… The update was released this week – over 420 cards!!! How to enter to win? Become a follower and leave a comment. I will select the winners Tuesday night using my random number generator app from all comments for this post. you a free code for the iPhone version of the app. Thanks so much for visiting. Be sure to stop by tomorrow for Operation Write Homes ginormous bunny blog hop. That turtle is too darn cute. I have not tried the digi's but think I am going to have to give them a try. I am computer dumb so it may take awhile. Thanks. Very cute card. I can see I'm not going to get anything done today… Blog Hopping! Very cute card. TFS. I'm always looking for inspiration, so I'll have to check out the app. Very nice card. I also love turtles. Funny never knew so many people did. that is a great turtle image! wonderful job with your coloring! 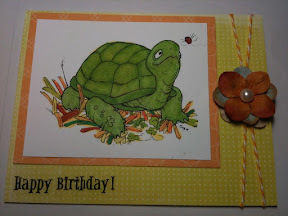 You did an amazing job on this turtle card. Great coloring. Thanks for sharing. This is a great card! I haven't seen this cute little turtle before. I'll have to check out your link because I love coloring with Copics too. TFS! very cute! I am a new follower! Thanks for sharing and for the chance to win!! 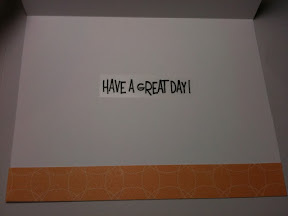 Great Card – don't have an iphone but love to comment. Glad to her the app is available in Android. Love the turtle digi, beautifully coloured! Great card! Love the card but please dont pick me to win as i dont have a use for it !!!! Great prize for someone tho !!! Great job on the turtle, cute card! very cute. The turtle looks "vintage" compared to the other ladies turtles. Love your take using a stamp instead of a cut. Great job! Love your turtle… and your coloring. I'm so glad that you posted it…it's hard to be without the internet. Thank you for sharing and the chance to win. I am a follower. Isn't he a handsome older turtle!! Wise looking turtle, perfect image for a birthday card lol. Nice coloring on this digi, TFS. I love, love your turtle – great card and I am a new follower. That turtle is too darn cute! Love it! TFS! super cute image, love the bright fun colours youchose! Great card and cool turtle. Thanks for sharing! I love this! Thanks for sharing! Already a follower! That is one nice turtle. Thanks for the site. Cute card! I'm a new follower. Thanks for sharing! Love that turtle! Super cute!!! Really cute card! No need to enter me as I don't have an android. okay I love this turtle, he is so different from all the others I have seen. The layout of your card is great and love the pearl you added to the flower. great job! Don't have an android so good luck to whomever wins! This turtle is so Cute! Love the coloring! Cute card! Thanks for the link to the digi and thanks for the chance to win! I love iphone apps for my crafting needs! I love the turtle. So realistic! Great colouring too. Very cute card!! Love the twine!! Great card, your turtle looks amazing. I love copic markers. Aw, cute lil chunky turtle! Love it! Just got my first set of Copics for my B-day and am so looking forward to trying them out! great job on the card, very cute. TFS!